Distinctive features: Tree; Whorls of needles. 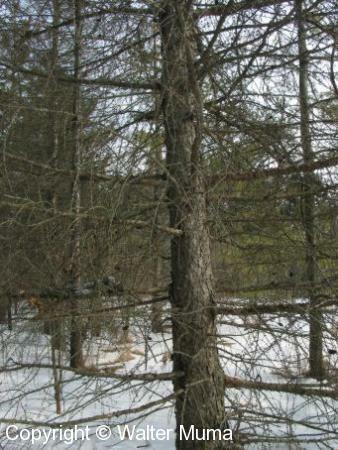  Tamarack (Larix laricina) - very similar: branches not droopy. Leaves: Whorls of soft needles. Habitat: Fields and Open Areas; Damp soil preferred, will grow elsewhere. Photographs: 64 photographs available, of which 8 are featured on this page. SCROLL DOWN FOR PHOTOGRAPHS. 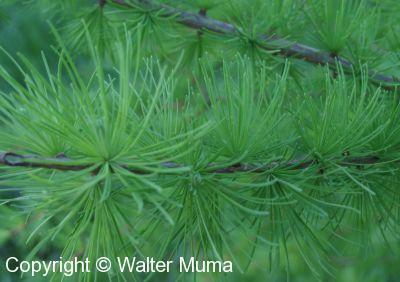 The needles of European Larch tend to be longer and the tufts fuller than Tamarack (Larix laricina). European Larch twig, showing the bumps along the stem where the tufts of needles grow. 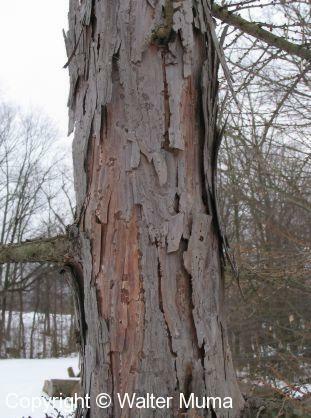 These bumps are larger than our native Tamarack trees. 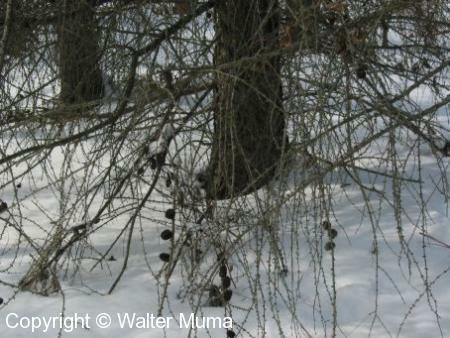 This picture shows the tendency of the branches to droop, or "weep", like Weeping Willow (Salix babylonica). This photo shows how the tree's branches grow out from the trunk. 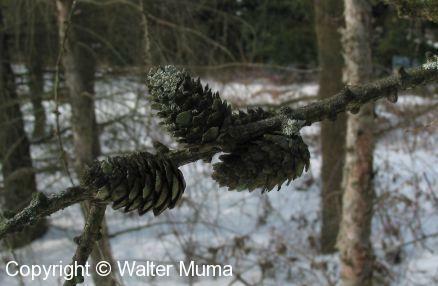 The cones of the European Larch. They are about 2" long. The cones often persist through the winter.